A 30-year-old sign in Falmouth starts a conversation. 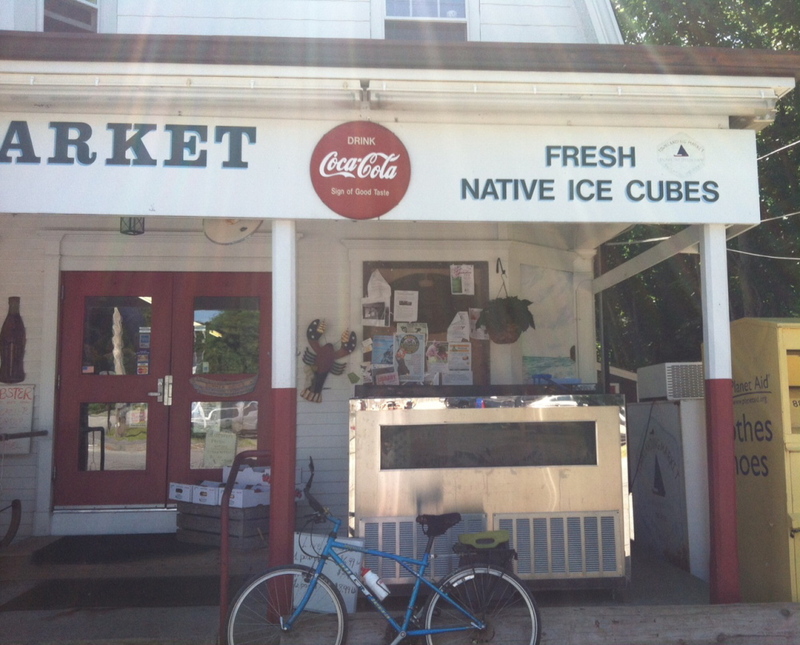 Ever on the lookout for local, sustainable Maine trends, I was attracted last week by a sign at Town Landing Market in Falmouth promising “Fresh Native Ice Cubes.” Were these artisanal Maine cubes, cut by hand, perhaps – under the full moon as loons crooned – by a fifth-generation Mainer from a deep, cold, pure northern lake? 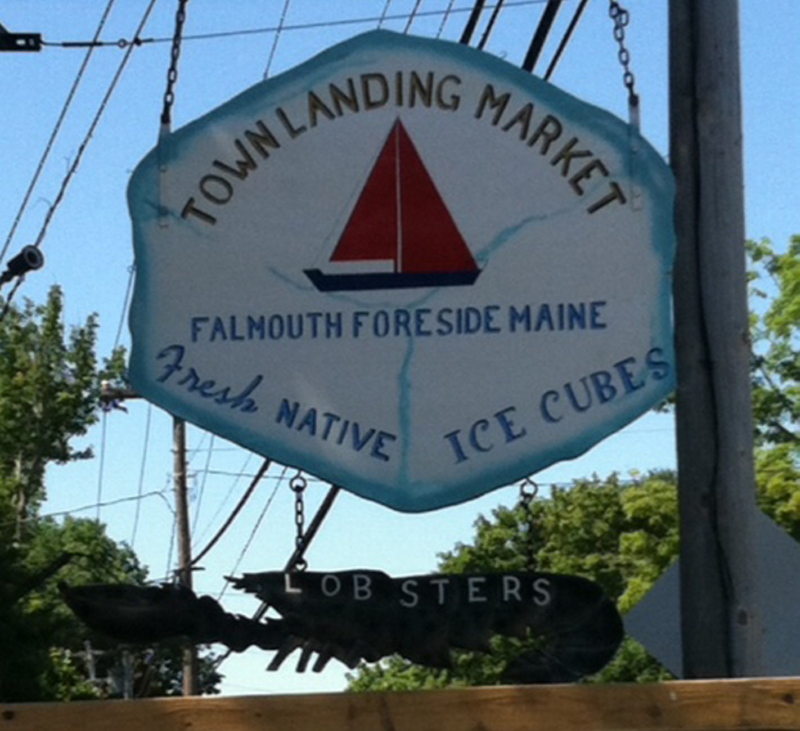 He traced the ice cube sales pitch to the late Tom Randall, who owned Town Landing Market from 1952 until 1981. According to local legend, Randall erected the sign after a friend came up with the idea at a card game (to attract gullible tourists?). In actual fact, the bagged ice sold at the market is made in an ordinary ice machine with ordinary town water. But, hey, that water comes from Sebago Lake, right? So technically it is Fresh Native Ice?